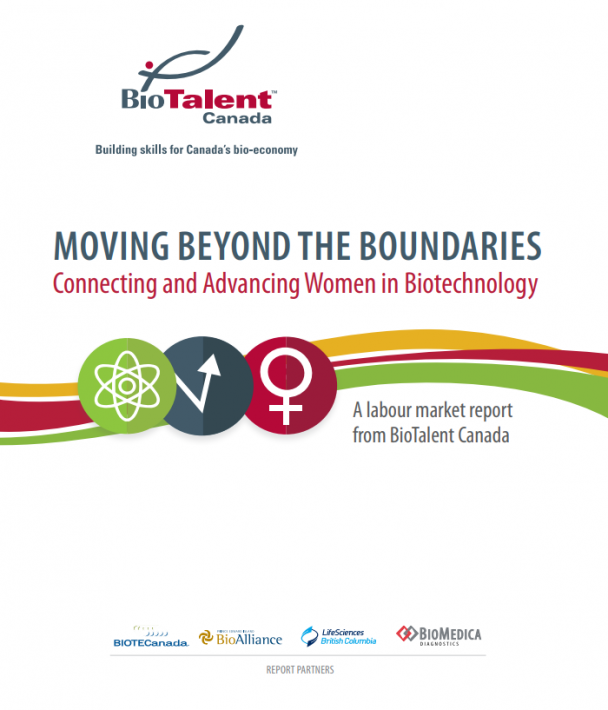 Women are broadly represented in Canada’s bio-economy, but their numbers have fallen by 11.5% since 2008, and the proportion of women in senior and executive positions in biotech companies remains below 20%. On the other hand, with more than half of Canada’s biotechnology companies reporting skills shortages, the sector needs to adapt its approaches to recruiting and developing skilled talent, in part by tapping into under-utilized pools of skilled talent such as women. The biotechnology sector is missing out on reaching its full potential as pools of skilled talent, such as women, are under-utilized. The report, Moving Beyond the Boundaries, looks at the current state of women’s bio-economy employment, their work experience, and where changes could open up new avenues of opportunity both for women and the sector as a whole.